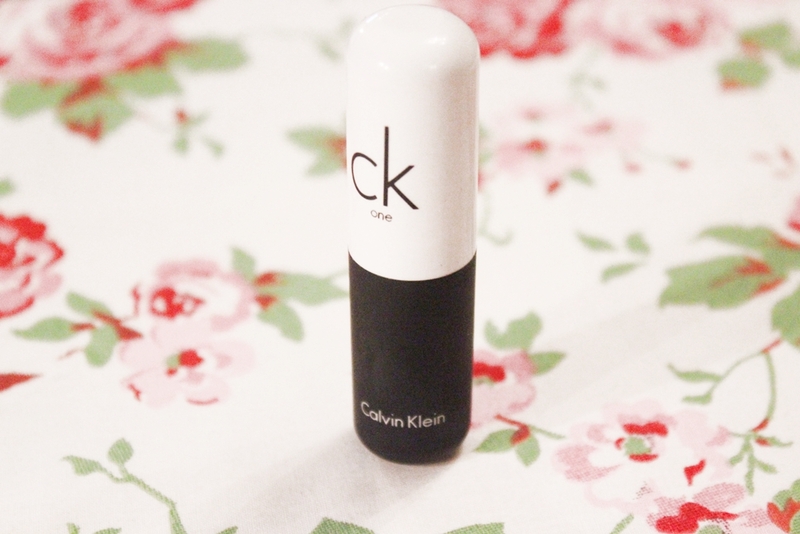 I’m really super excited about reviewing today’s CK One Pure Color Velvet Lipstick, because I’ve not seen many people blog about Calvin Klein’s cosmetics range! When I came across this lippie at the Debenham SS13 press day, I didn’t even know Calvin Klein did cosmetics (probably a big faux pas not knowing what with being a beauty blogger lol), but I’m glad I do know now! The lipsticks comes, as you can see, in the a-typical bullet form with a plastic casing where the lid is a glossy white and the bottom half a mattified black, which is a rather funky feeling for lipstick packaging. I’m not sure whether I like this packaging or not – it would’ve been nicer if the colour was visible in a way. Also, the label on the bottom is super small – I actually had to squint to read the colour name! 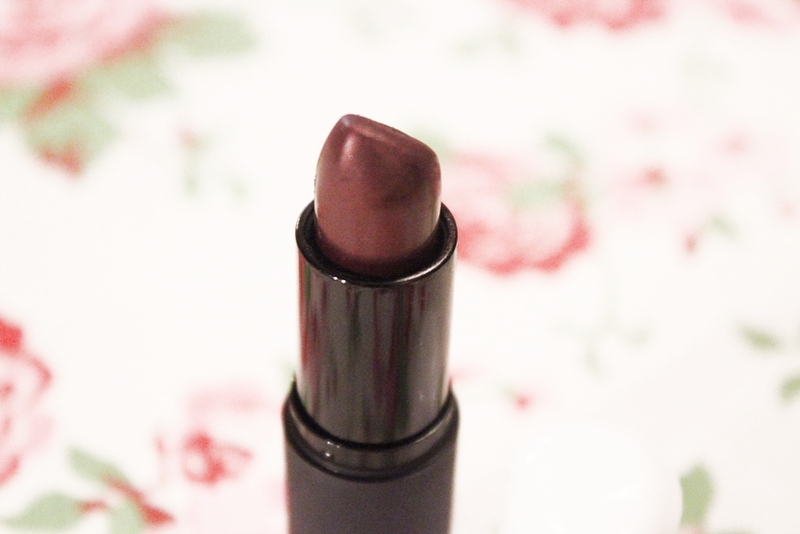 The colour pay off of the lipstick is quite good, not 100% as you can see in the picture below, but not bad either. 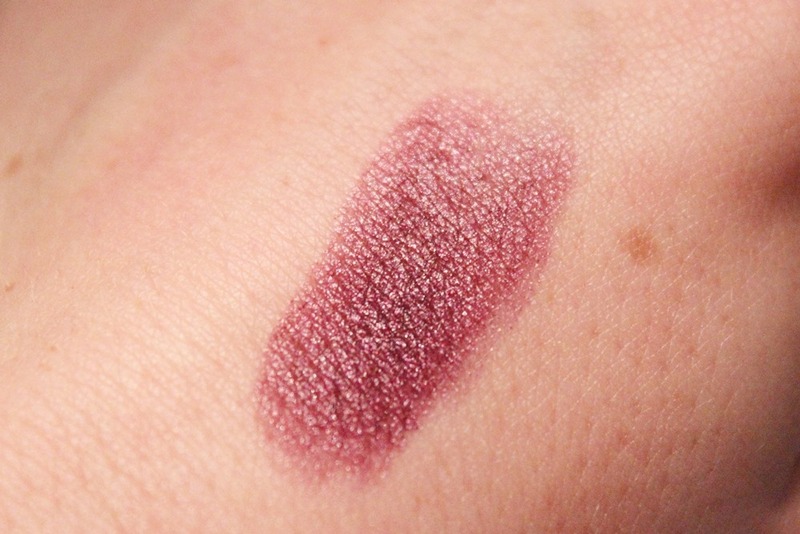 It’s not super highly pigmented, but also not sheer (which I prefer as I don’t see the point of sheer lipsticks! Why would you want a lipstick that barely shows?!). The texture of the product is creamy, maybe a bit on the dry side, but it still allows easy application, whether that’s with a brush or directly out of the bullet. But it could’ve been a bit creamier! Because of its texture, the lipstick lasts for a while, but not as long as I’d like it t0 (which would be forever if I could find one like that ;-)). If it were to stain the lips, then that’d be ok, but it just disappears onto coffee mugs and all that :-( The colour itself of course has been perfect for these last cold months and it will become a staple in my lipstick collection despite its downsides. The CK One Pure Color Lipsticks come in another 20 shades for only £13 a pop (online and in Debenham stores) – I expected it to retail at a higher price actually! Did you know Calvin Klein did cosmetics? Would you consider trying these CK One Pure Color Lipsticks?